Take Control – Interactive installation using brainwaves from Enrica Be on Vimeo. TakeCtrl is an interactive installation that meditates on the links between real and digital space in relation to the real and digital self. By creating a link between brainwave biometrics and data, the project redesigns what it means to be human from a state submersed in genetic memory to being reconfigured in the electromagnetic field of the circuit, in the realm of media in its visual form. 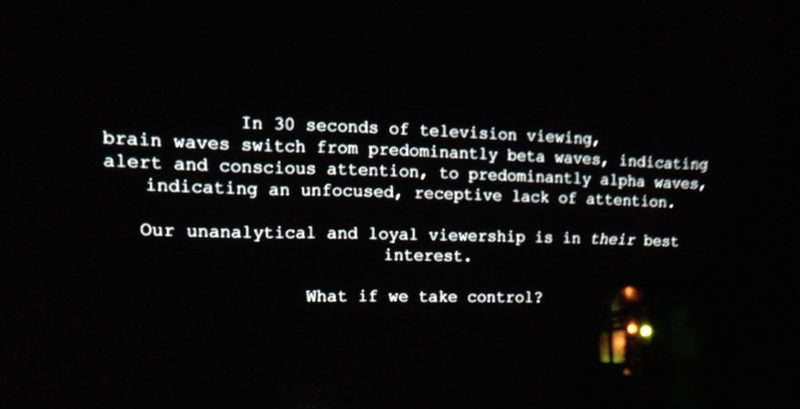 A clip extracted from “no surprises” official video by Radiohead is modified according to the user’s attention levels. 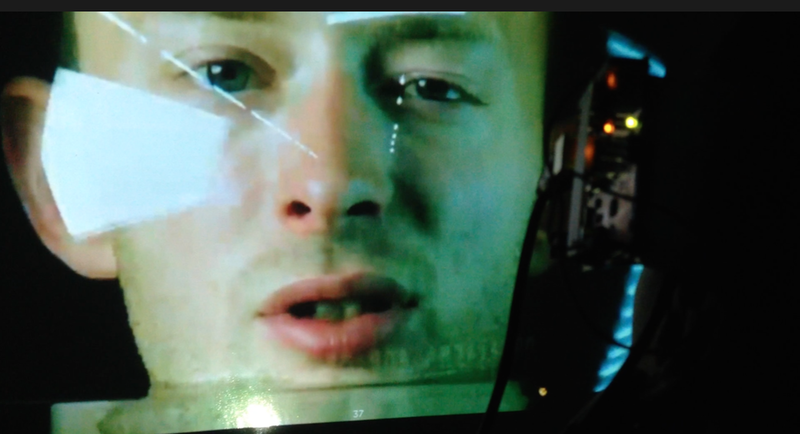 The video shows Thom York drowning. The metaphor is created by linking the attention levels to the fate of Thom through the user’s control over the water level. It is a life and death situation. The higher your attention level is, the lower the water level is and Thom survives. The lower your attention levels get, the higher the water level goes and Thom drowns and suffocates; leaving you with interesting facts about media and awareness. Take ctrl – Interactive Installation-SD from Enrica Be on Vimeo. 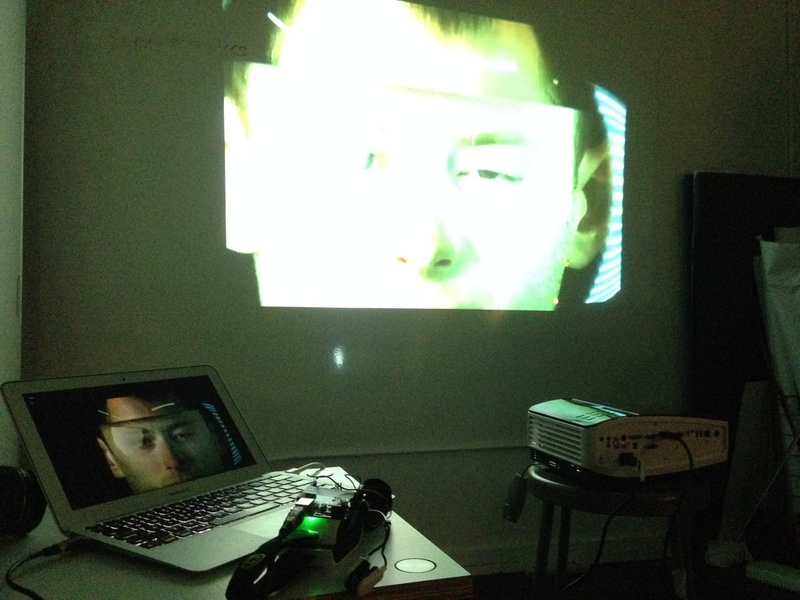 The installation is programmed on OpenFrameworks using a Mind Flex or a Neurosky in order to read the EEG values. The media consumption experience is transforming exponentially.As the physical and digital world converge,how will these technologies shape how people interact with digital media? What advances will change the nature of media and communication in the future?Through this project we want to let people experience their brain perception during media display. We believe that the future of interaction will involve biodata and we will be able to control things with our mind and the environment.So what is the role of the designer when the future of interface will bypass buttons and dematerialize interfaces?This installation is both an investigation of the future of interaction/interface design and a critique of the current state of media manipulation. The installation is programmed on OpenFrameworks (code lives here) using a MindFlex connected to an Arduino in order to read the EEG values.